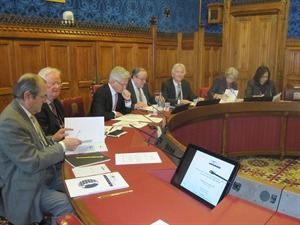 GSF hosted a seminar in the House of Lords entitled ‘One Year On: Turmoil And Transition – The Arab Uprisings And The Path Ahead’, which was opened by the Rt Hon Alan Duncan MP, Minister for International Development. 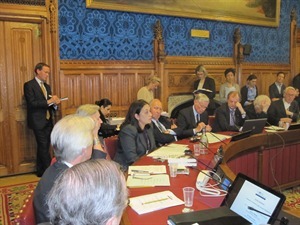 On 14th March 2012, Global Strategy Fo rum held the above seminar in Committee Room 2 of the House of Lords, under the chairmanship of Lord Lothian, Chairman of GSF. 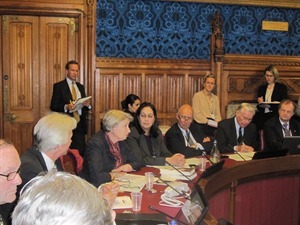 Lord Williams of Baglan, former UN Under-Secretary of State and Special Coordinator for the Middle East and Lebanon. A synopsis of the seminar is available here and the Seminar Programme can be downloaded here.